My Friday Fave this week is podcasts. I love them! I work at home and often have projects like photography or packing where I want something to listen to as I work. I listen to SiriusXM radio, audiobooks, and podcasts. Although I have listened to podcasts on my phone and computer, I usually tune in through the Podcasts app on iPad. It just works so well. For that reason, I am always looking for fun podcasts that are available on iTunes. Serial was the big podcast that made news this past year. I missed the big buzz about Serial. I heard about it soon after it started, but didn't tune in because I'm not a fan of crime related books, movies, tv. Several of my friends were avid listeners and big fans. Completely Uninformed with Janette and Pete - A chatty NYC based show by an unlikely pair of friends - a 60 year old cat person and tv producer and a 32 year old father of three young children. I first heard Janette and Pete on Rosie O'Donnell's old SiriusXM radio show, and they are funny and often thought provoking as well. eBay Radio - Everything eBay related, with lots of guests and information. The hosts are Griff (Jim Griffith) and Lee Mirabel. If you sell on eBay, this show is a must listen! Gilbert Gottfried's Amazing Colossal Podcast - Gilbert Gottfried (yes, that Gilbert Gottfried) interviews retro pop culture figures like Henry Winkler, Adam West, Bill Persky, Frankie Avalon, Micky Dolenz, and more. These shows run around an hour each and they are great fun. NPR: Fresh Air - My favorite NPR show. I love the arts related segments. Scavenger Life - A couple living in rural America, scavenging for unique vintage finds (free to very cheap) and selling them online. That Kat Radio - eCommerce information, hosted by one of my online friends, Kat Simpson. Kat has a couple of guests each show, with lots of great information about selling online. The Mom Squad Show - Fun and funny chat with radio personality Christine Eads and CNN host Kyra Phillips. I listened to Christine's SiriusXM radio show Broadminded for years. I absolutely love this podcast, and only wish it aired more often! The Writer's Almanac with Garrison Keillor - Short daily segments about the day in history, with a short poem or two. I love Garrison Keillor as a radio personality, and he has one of my all-time favorite voices. Garrison Keillor + poetry = perfection. This American Life - The NPR show is available in podcast format. Quirky, thought provoking, never dull. Do you enjoy podcasts? I would love to hear about your favorites in the comments, below. I <3 Gilbert Gottfried, I think he is hilarious. I'm going to have to check that one out! Oh - I've got to try those. Perfect for some of my long car rides without a decent radio. Thanks for the tip. I rarely listen to podcasts. The few I have listed to are old ones from Sandi Krakowski and then I sometimes tune in Dave Ramsey podcasts. I mostly listen to Spotify all day long. I love it because its like having the actual albums to listen to what I want, not what a DJ chooses. This is totally new to me. LOL! I don't usually listen to podcasts but may have to check this out!! Very cool! 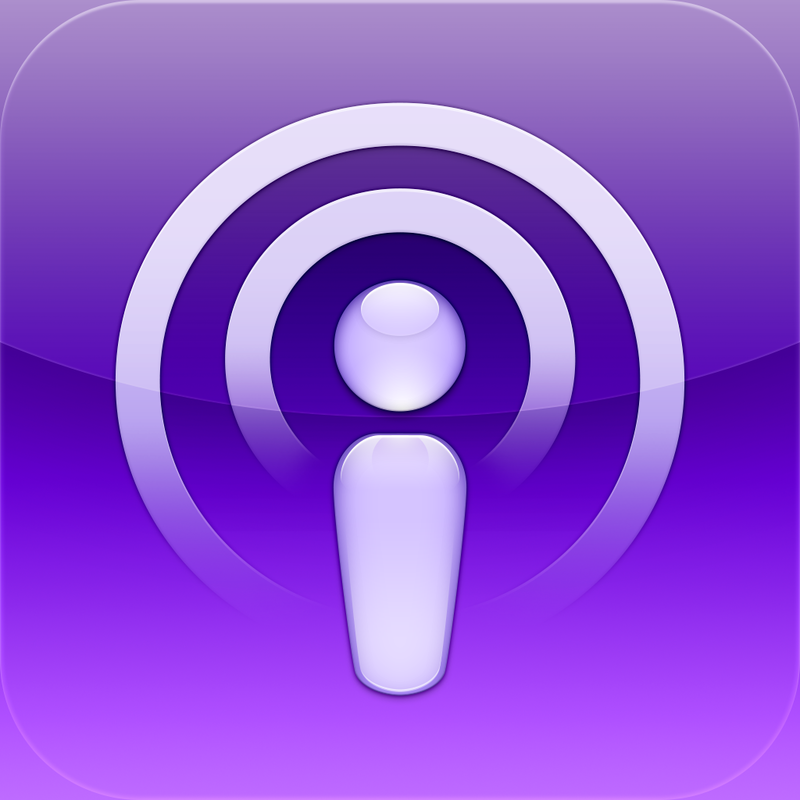 I've just started exploring podcasts as well, going to look some of your favorites up! I haven't gotten into podcasts yet, but I've heard SO many people say great things about Serial, so mabye I need to jump on the bandwagon! I LOVE podcasts. I really like The Mom Squad too! The other one I am a big fan of is Stuff you Missed in History Class. They change podcasters a lot so that is a bit annoying but always very well researched! Thanks for the comments! Loved reading about what you all enjoy listening to. Thanks, Kristin, for the mention of Stuff You Missed in History Class. I need to look for that one!